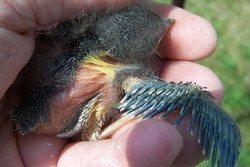 Found a orphan baby bluebird! Contact professionals that care for Wildlife in the Commonwealth. Click on the county to find the nearest Wildlife Rehabilitator in your area.